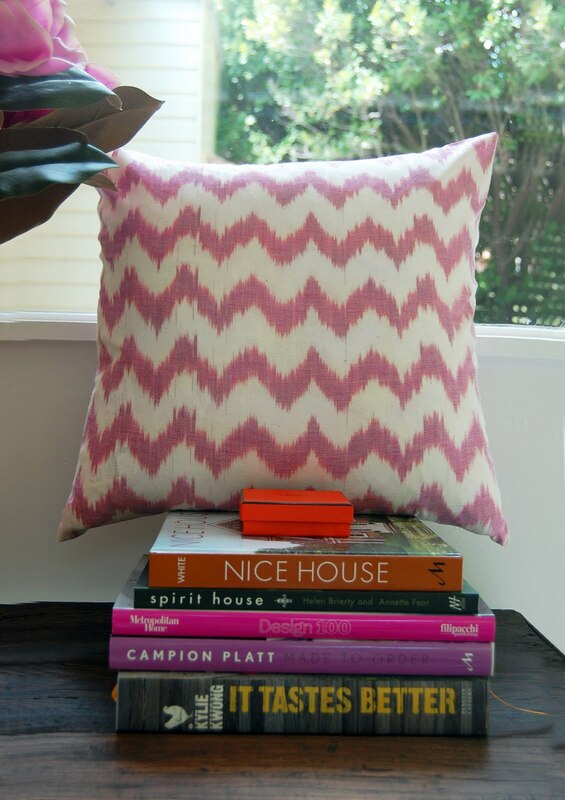 A few days ago, Emma (aka the star of Nest Designs) posted this gorgeous picture of her new Table Tonic Cherry Chevron Ikat cushions on the Table Tonic Facebook page. And I was chuffed, thank you Emma! 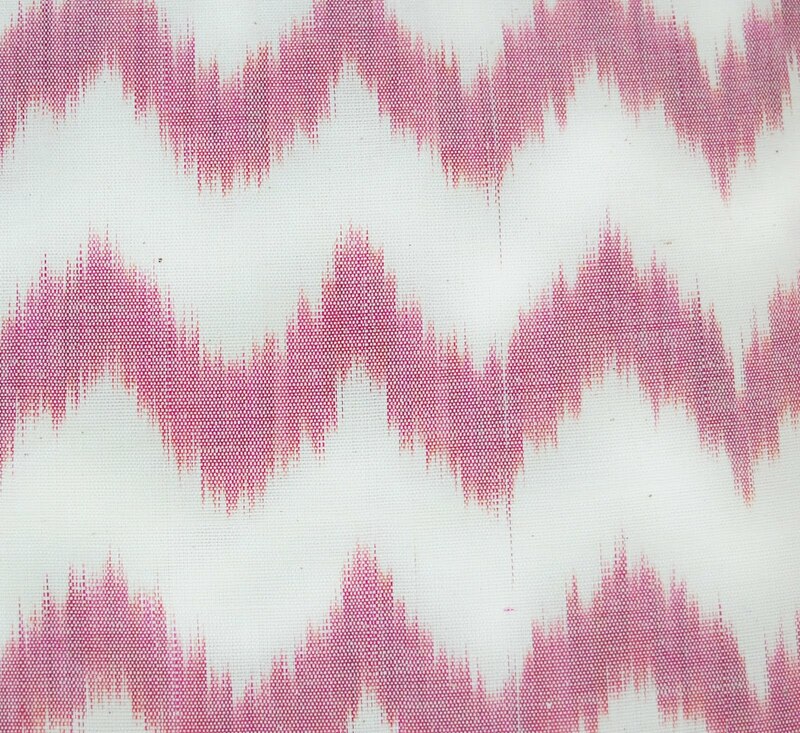 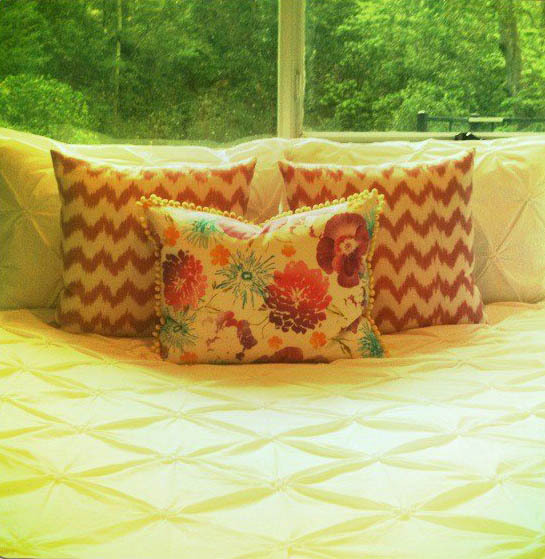 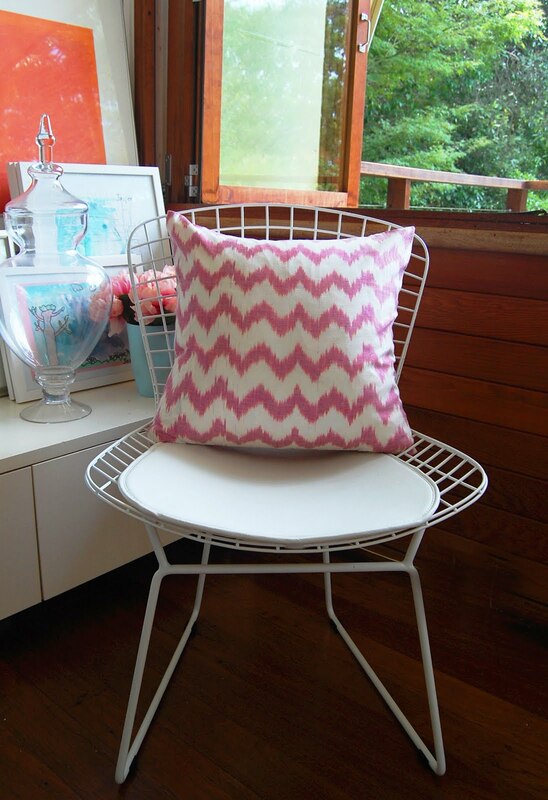 (below) The Cherry Chevron Ikat cushion ($79), is in stock and ready to dispatch at tabletonic.com.au.